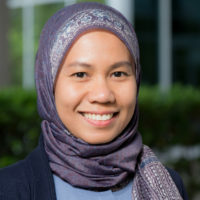 Dian Nostikasari is with the Development, Transportation and Placemaking team at the Kinder Institute. She earned her Ph.D. in Urban Planning and Public Policy from the University of Texas at Arlington with an emphasis on transportation equity, health, environmental justice and community development. Her interests include utilizing interdisciplinary approaches to make stronger connections between the production of the built-environment and access to socioeconomic opportunities and other dimensions of the lived experience.